If you are looking for mermaid craft ideas, then color and create with these free printable Mermaid Coloring Pages! You can make all sorts of crafts with these coloring pages. 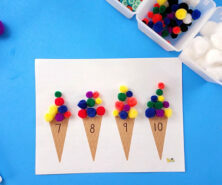 You can simply color these or spend some time making them extra fancy with some sequins and cupcake liners. Try just one of these ideas, or do both! These also make the perfect craft activity for a Mermaid party. 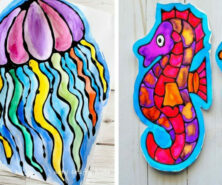 You will need the free printable mermaid coloring pages to create any of these mermaid crafts. You can get the free printable mermaid coloring sheets at the bottom of this post by subscribing to our newsletter. 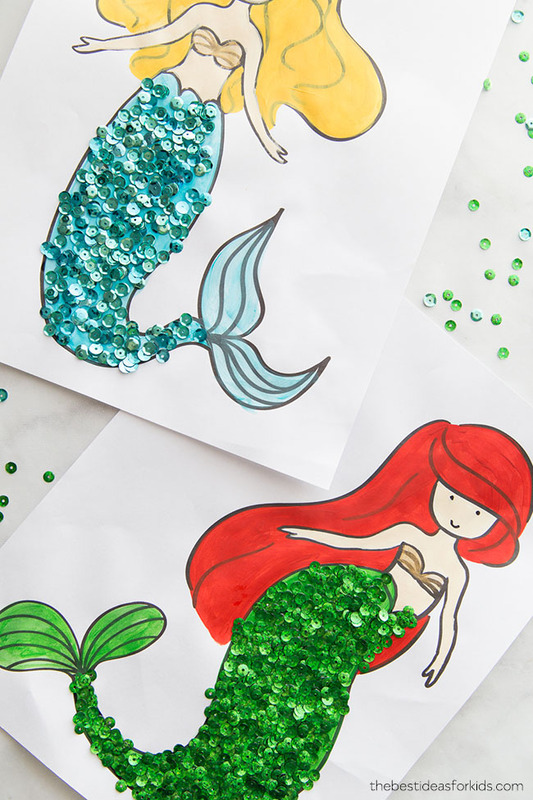 These mermaid coloring pages would be the perfect activity to go along with a mermaid-themed birthday party! 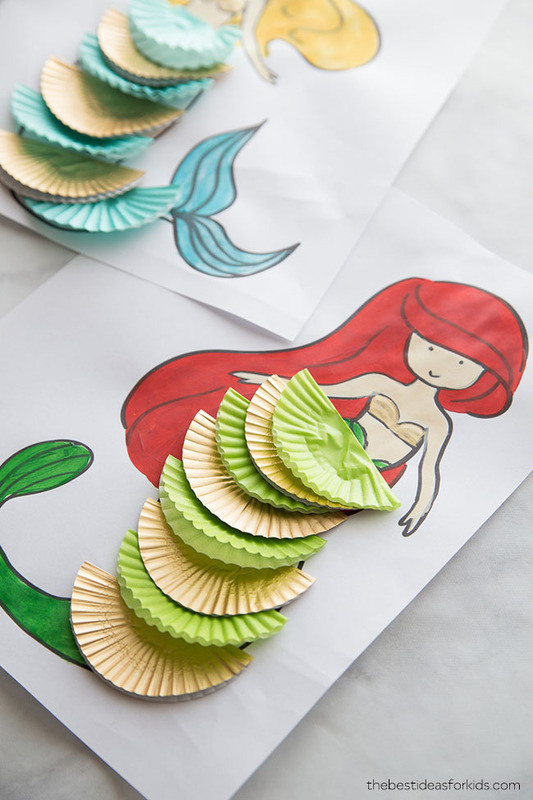 Simply print them out and have decoration supplies laid out for the guests to create and decorate their own mermaid! 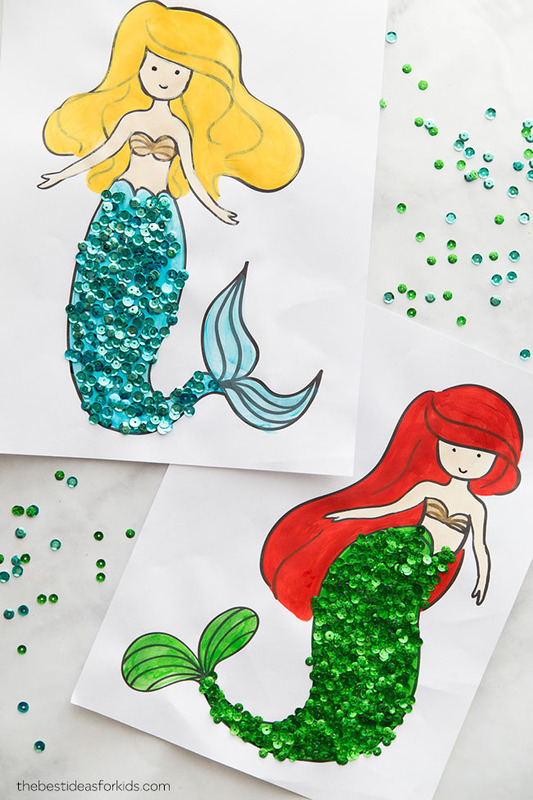 Free Printable Mermaid Coloring Pages – you can get the free printable coloring pages by subscribing to our newsletter at the bottom of this post. 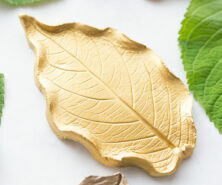 Paint – yellow, gold, turquoise for the one mermaid, and green, red, and gold for the other. We also used this color for the skin. You can color with markers or pencil crayons too. This multi-pack of paint would have the colors you would need for the hair and tail. We also recommend this non-toxic paint for toddlers or preschoolers. 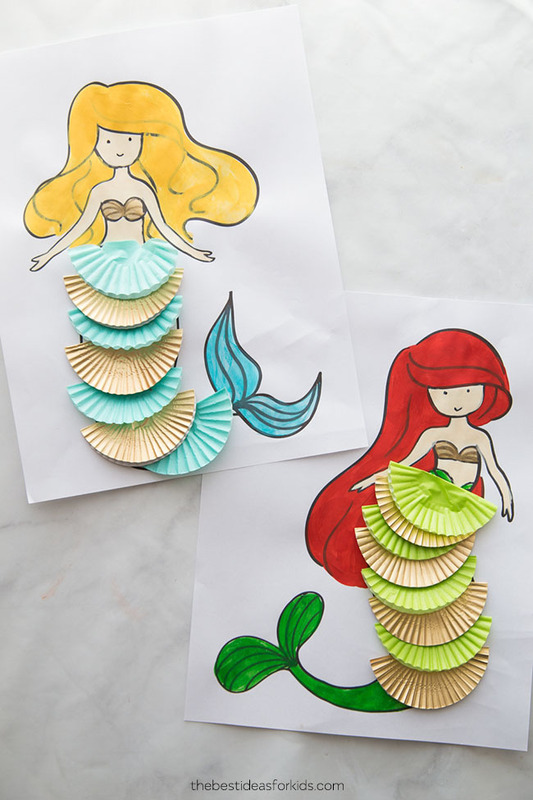 Here are the 2 different mermaid crafts with step-by-step instructions on how to make them. 1. 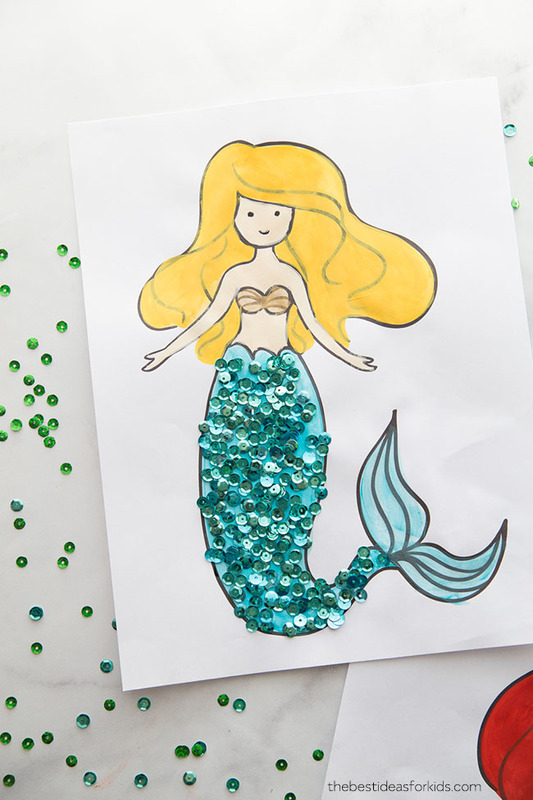 Paint the mermaid coloring page with a thin layer of paint and allow it to dry. You could also color it with markers, crayons or pencil crayons. 2. Apply glue to the mermaid tail. 3. 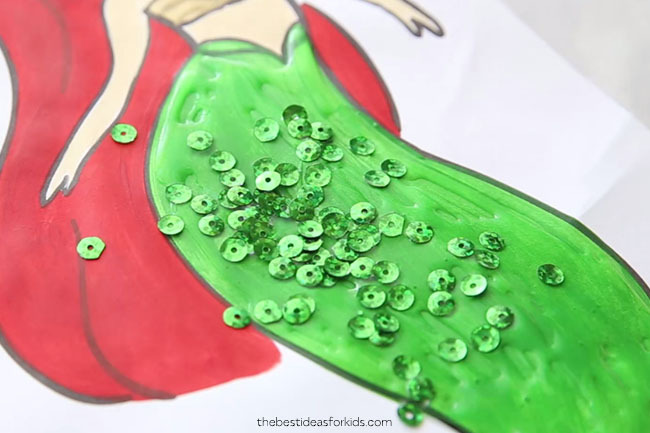 While the glue is still wet, sprinkle on sequins (use the same color as the painted tail if you can). Allow it to dry, then shake off any excess sequins. 1. Paint the mermaid. Leave the tail of the mermaid unpainted except for the very end of the tail. Allow it to dry. 2. Fold the cupcake liners in half. 3. 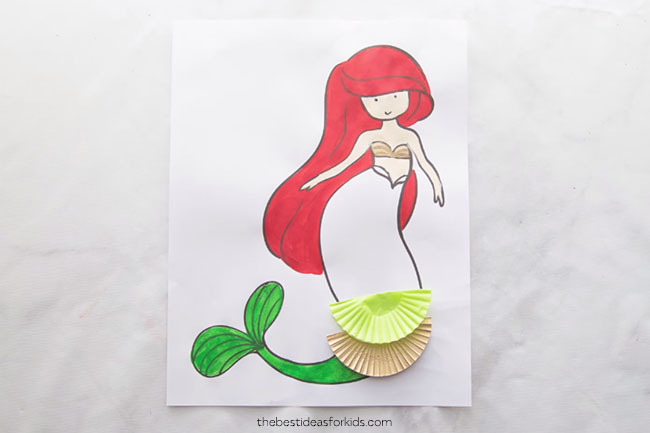 Glue the folded cupcake liners onto the mermaid tail, starting at the bottom, right above the tail. Alternate two colors and overlap them slightly when gluing down. If you do not receive the confirmation email, check all of your folders including promotion folders. If you are still having issues, reach out to us here. 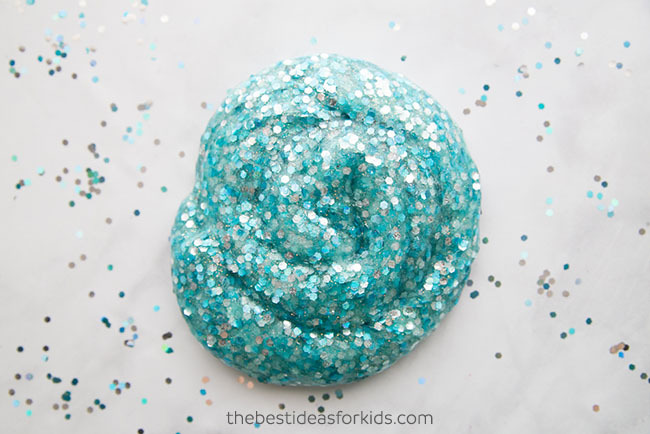 See how to make this mermaid slime – this is a perfect activity for a mermaid party!